The federal Bureau of Labor Statistics reports that labor’s income share has fallen by six percentage points in the last decade alone—that’s about four percentage points of gross domestic product…in other words, worker income is more than $700 billion less—i.e., more than $5,000 per worker—than it would be, had labor’s share stayed the same as it was a decade ago. Some of the shift surely may be due to larger market trends, but the federal government played a strong role. 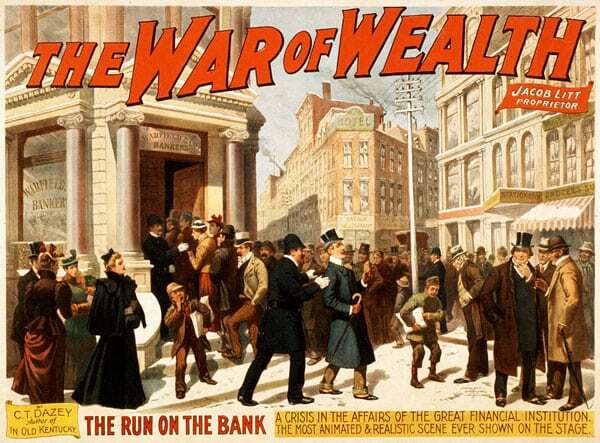 Bankers, notes Schwartz, were saved from losing their wealth through federal interventions, such as the Troubled Asset Relief Program (TARP) and quantitative easing. TARP, as the US Treasury explains on its website, provided about $424 billion for banks and corporations versus $46 billion for families. But TARP is small potatoes compared to quantitative easing, in which the Federal Reserve purchased $4.5 trillion in bank assets to help banks stabilize their balance sheets and lend to corporations. Shareholders who owned those corporations benefitted also, of course. Additionally, the Federal Reserve also maintained near-zero interest rates for years, which facilitated corporate borrowing. The net effect, Schwartz writes, was to “put a trampoline under the stock market.” Meanwhile, that $46 billion for homeowners proved to be too little, too late, leading eight million people to lose their homes to foreclosure. As a result, the homeownership rate fell from about 69 percent of Americans to 64 percent. Nor is the impact spread evenly across the board. In terms of age, young people suffered heavily, so much so that that a recent study by three researchers at the Federal Reserve Bank of St. Louis finds that Americans born in the 1980s risk becoming “a lost generation for wealth accumulation.” And in terms of race, Michelle Singletary in the Washington Post notes that Black homeownership today is 41.2 percent—about the same as 50 years ago, before housing discrimination was made illegal. What we face, in short, is this ever-increasing concentration of wealth and division between haves and have-nots becoming normalized as the American way of life, with notions of a middle-class society rapidly fading into history. Exiting this slide into what is clearly our nation’s Second Gilded Age will not be easy, but it starts with recognizing the extent of the shift that has transpired.